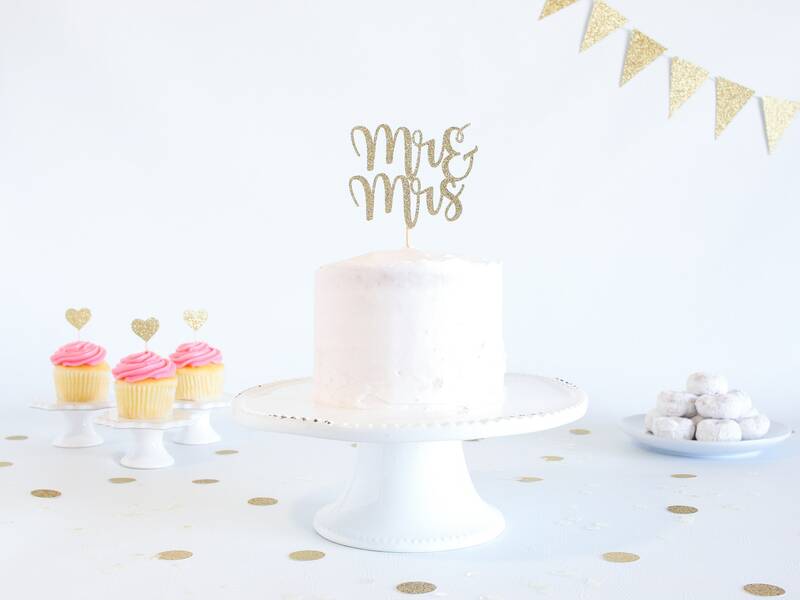 Mr & Mrs Cake Topper - Glitter - Wedding Cake Topper. Engagement Party. Mr and Mrs. Mr and Mrs Cake Topper. Cake Toppers for Wedding. 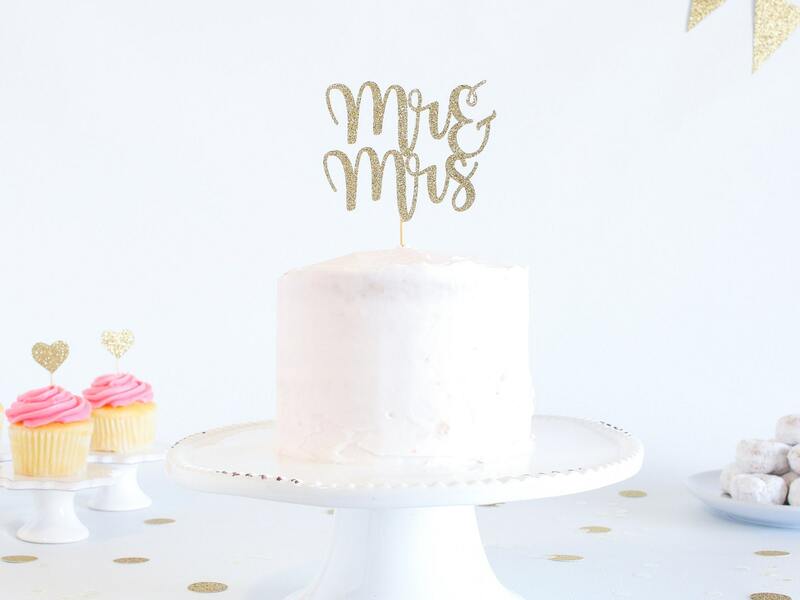 This sparkly glitter "Mr & Mrs" cake topper is the perfect addition to your wedding cake! • Size selected is the WIDTH of the cake topper. *3.0" mini will be assembled on 3" sticks, 4.0" - 9.0" will be assembled on 6" stick(s). 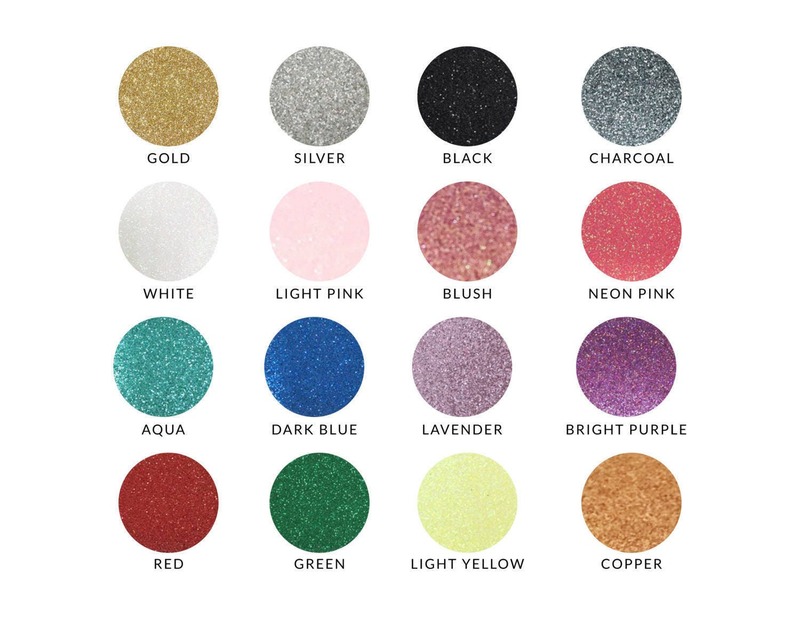 • One-sided and double-sided options available from the size dropdown list. Absolutely Beautiful :) I would definitely recommend this cake topper!